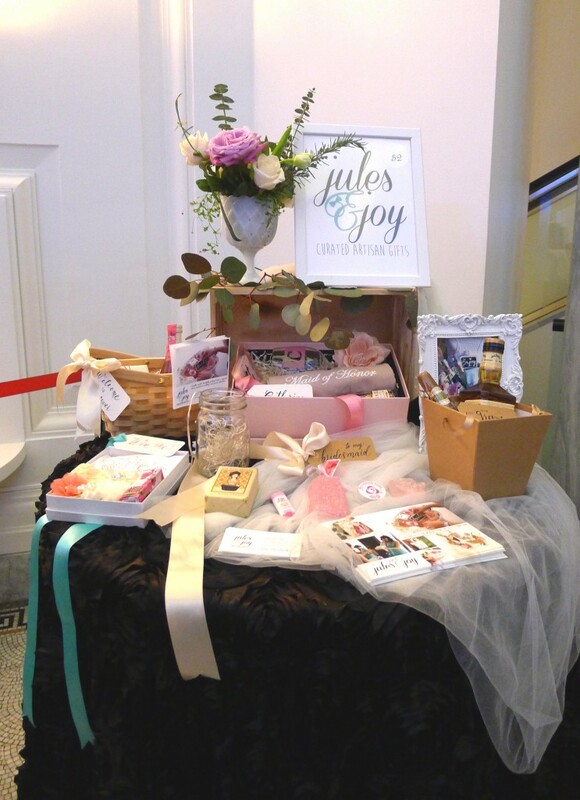 Last Saturday, we joined our first-ever bridal show and we had so much fun! 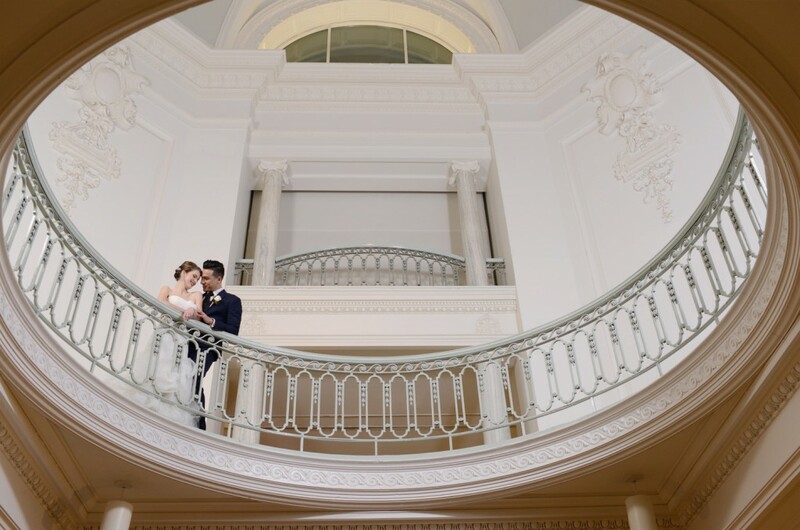 The all-white façade and columns of the Vancouver Art Gallery on Hornby Street made the event glamorous and intimate. 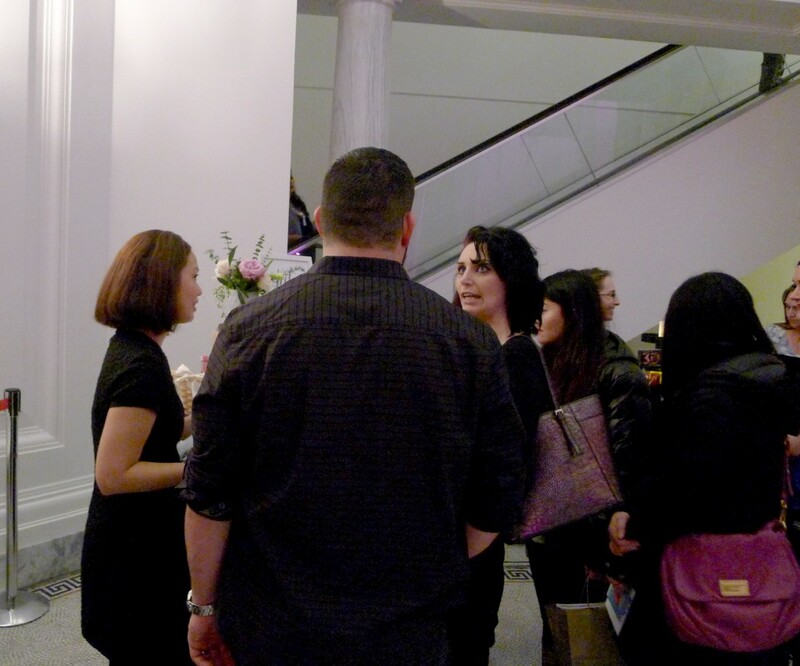 Kudos to Kim of Soirée Lounge for such a wonderful and well-organized event, which provided a venue for unique wedding vendors and respected industry professionals to gather and serve our city’s newly-engaged couples. 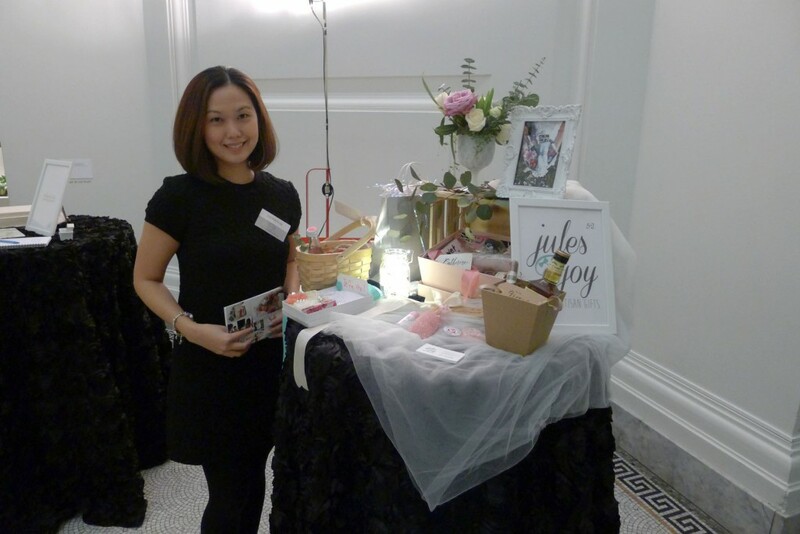 As a first-timer, I didn’t know what to expect but I was very excited to personally introduce our small business’ service offerings to new brides. 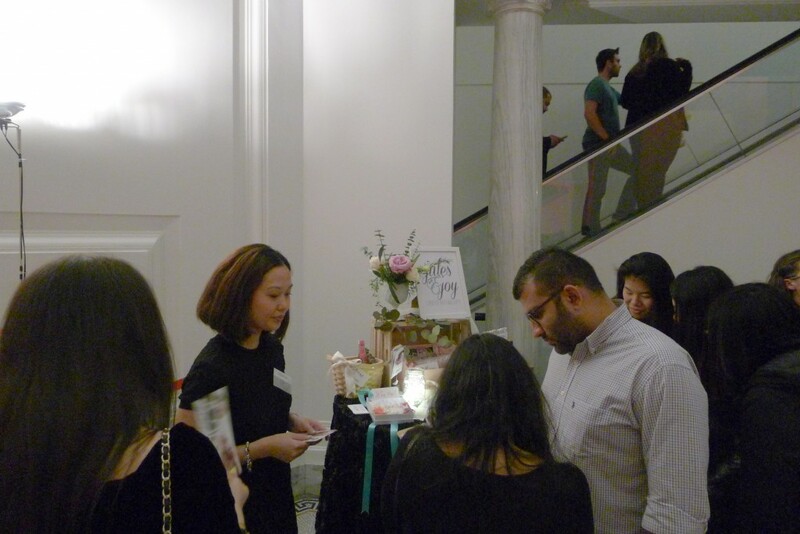 Our booth was located at the rotunda level of the gallery where some guests gathered to watch a fashion show. I kept the design of our cocktail table simple and displayed just a few samples of our custom gifts. 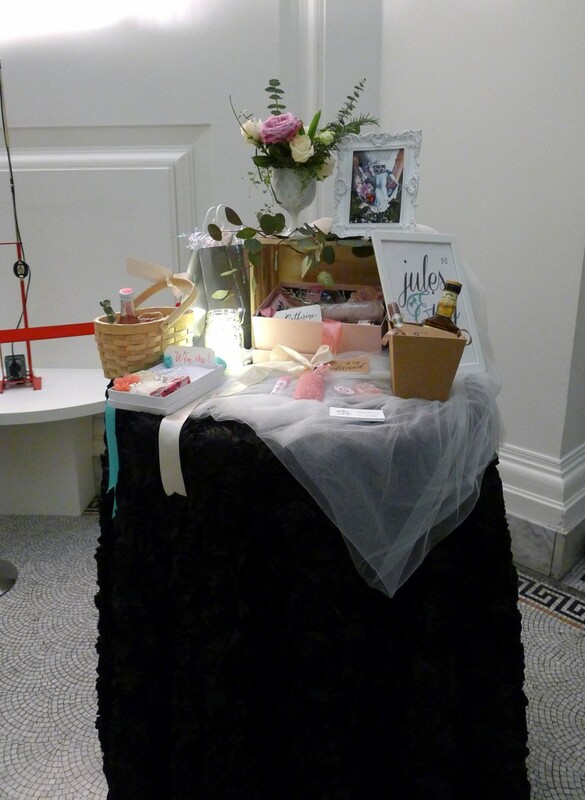 See you on our next wedding show!